LATEST: The European Parliament's Legal Service has concluded that it is "unclear" whether a proposed EU-Morocco trade agreement for Western Sahara is in line with EU law. Read the Legal Opinion here. It is "unclear" whether the European Court of Justice's requirement of "securing the consent of the people of Western Sahara" has been met. This is the main argument of a fresh Legal Opinion prepared by the EU Parliament's Legal Service in relation to a new EU-Morocco trade deal that the Commission is trying to push through. Western Sahara Resource Watch (WSRW) has obtained a copy of the document. Read the full text below. The European Parliament is in the process of preparing its position on the draft trade arrangement for Western Sahara that the EU Commission has negotiated with Morocco. The arrangement consists of amending two Protocols to the EU's Association Agreement with Morocco, so that it would henceforth apply expressly to Western Sahara. This development came as a result of the EU Court of Justice's judgment of 21 December 2016, concluding that no EU-Morocco agreement could be applied to the territory of Western Sahara, unless with the explicit consent of the people of the territory. As different Parliamentary Committees review the Commission's proposal, questions about its legal basis - whether the consent of the Saharawi people has been obtained - are rampant. On 23 August 2018, the Chair of the EP Committee on International Trade, German socialist Bernd Lange, requested the EP's Legal Service to clarify the matter. A reply came in the form of a Legal Opinion, dated 13 September 2018. The Legal Opinion states that there are essentially two criteria that ought to be met to lawfully apply preferential tariffs granted by the EU to Morocco, to products from Western Sahara: the territorial scope of the agreement must firstly be expressed explicitly, and secondly "the extension of the territorial scope of EU-Morocco agreements to Western Sahara is conditional upon the consent by the people of Western Sahara". Referring to the Commission's and the EEAS's consultation process, the Opinion states that "it seems difficult to confirm with a high degree of certainty whether these steps meet the Court's requirement of a consent by the people of Western Sahara, also taking into consideration that the conclusion of a positive consent is reached in spite of the negative opinion expressed by the Polisario Front." The Commission had in its report to the member states stressed that having a trade scheme in place is to the benefit of Western Sahara, despite the CJEU (§106) having explicitly stated that this argument is irrelevant. The Parliament's new Legal Opinion echoes that:"it is uncertain", the Legal Service writes, whether this is at all "relevant in the assessment of the consent as required by the Court". The Legal Opinion, however, seems to take for granted that the Commission is honest in its representation of the consultation process. WSRW has documented that the Commission is lying when it claims that 112 organisations or individuals from Western Sahara have taken part in the process. The real number is only 18, and they are all Moroccan voices, Moroccan government bodies, Moroccan NGOs. 94 Saharawi and pro-Saharawi organisations have been added to the EUs official list of consulted groups, even though they have never taken part in the consultation on the EU-Morocco agreement. Among the organisations falsely included among the list of 'consulted' is our own association, Western Sahara Resource Watch. Proposal for modification of the EU-Morocco Trade Protocols. a)	On the basis of the judgment of 21 December 2016, it can be concluded that agreements between the Union and Morocco that intend to apply a preferential tariff to products from Western Sahara firstly have to provide explicitly for such territorial scope of application. Secondly, the extension of the territorial scope of application of EU-Morocco agreements to Western Sahara is conditional upon the consent by the people of Western Sahara. The judgment does not allow for a definitive conclusion as to whether other conditions apply. b)	The Court judgment of 21 December 2016 did not concern the ways in which the respect for EU requirements on imports should be ensured. The Amending Agreement confers on products originating in the part of Western Sahara under the control of Morocco the legal regime applicable to the products originating in Morocco. The implementation of the Liberalisation Agreement and the compliance with EU requirements by Moroccan authorities is not modified by the Amending Agreement. c)	The conclusion process reflects the steps that may reasonably be considered as available to the Union institutions in view of securing the consent of the people of Western Sahara to an agreement to be concluded with Morocco; nevertheless, it remains uncertain whether the requirement of the Court judgment in the Case C-104/16P is met. d)	According to the Commission Report on benefits for the people of Western Sahara, the Agreement can be resumed to be beneficial to the region of Western Sahara as it confers an additional right to that region. The Amending Agreement itself contains a rendez-vous clause, on the adoption of arrangements for the exchange of information between the EU and Morocco in view of assessing the beneficial effect of the Liberalisation Agreement ex post. However, it is uncertain whether these two elements are relevant in the assessment of the consent as required by the Court. e)	The Amending Agreement cannot be applied provisionally, unless the Council first adopts a decision under Article 218(5) TFEU, for which the Commission has however not made a proposal. f)	The procedure of a request for an advisory opinion under Article 218(11) TFEU does not have the effect of suspending the procedure leading to the conclusion of an international agreement. However, such a request by the European Parliament de facto suspends this procedure, provided that Parliament has not yet given its consent to the agreement. The Legal Service remains of course at your disposal for any further information you may require. Subject:	Agreement amending Protocols 1 and 4 to the Euro-Mediterranean agreement EU-Morocco - 2018/0256 (NLE). 1. On 11 June 2018, the Commission adopted proposals for Council Decisions on the signing and on the conclusion of the Agreement in the form of an Exchange of Letters amending Protocols 1 and 4 to the Association Agreement between the European Union and Morocco . On 10 July 2018, Council adopted the Decision regarding the signature of the Agreement. The Amending Agreement , which is the result of negotiations conducted in the wake of the Court’s judgment in the Case C-104/16P , aims at providing a legal basis for the application of the preferential trade regime between the Union and Morocco to agricultural, processed agricultural, fish and fishery products originating in Western Sahara. In the Case C-104/16P, the Court ruled that the Liberalisation Agreement of 12010 established the preferential trade regime did not apply to the territory of Western Sahara. 2. According to the Amending Agreement, the EU and Morocco agree to attach to Protocol 4 to the Association Agreement a Joint Declaration which provides, in Paragraph 1, that “products originate in Western Sahara subject to controls by the Moroccan customs authorities shall benefit from the same trade preferences as those granted by the European Union to products covered by the Association Agreement”. 3. The Committee on International Trade is preparing its recommendation on the consent to Council's draft Decision concluding the Agreement amending Protocols 1 and 4 to the Association Agreement. In this context, the Committee Chair Mr B. Lange has, by letter of 23 August 2018, requested a legal opinion on six questions (Annex). According to the Court’s judgement in the Case C-104/16P, under which conditions would it be possible to apply tariff preferences to products originating in Western Sahara, and to ensure respect for the related EU requirements, including on food and safety standards? The judgment in the Case C-104/16? 4. On 13 December 2010, the EU and Morocco agreed on further reciprocal liberalisation measures on agricultural products, processed agricultural products, fish and fishery products; the so-called Liberalisation Agreement entered into force on 1 September 2013. By request of 19 November 2012, the Polisario Front brought an action for annulment of Council Decision of 8 March 2012 on the conclusion of the Liberalisation Agreement, relying on the alleged application of the Agreement to the territory of Western Sahara and putting forward 11 pleas in law. On 10 December 2015, the General Court delivered its judgment in the Case T-512/12, in which it annulled Council Decision of 8 March 2012 in so far as it approved the application of the Liberalisation Agreement to Western Sahara. On appeal brought by Council, the Court of Justice, by judgment of 21 December 2016 in the Case C-104/16P, set aside the General Court’s judgment and dismissed the action for annulment brought by the Polisario Front. Finding that, in light of the principles of international law applicable between the Union and Morocco, the Liberalisation Agreement could not be interpreted as applying to Western Sahara, the Court of Justice rejected the action for annulment as inadmissible, as a Council Decision concluding an international agreement that does not apply to Western Sahara could not possibly be of concern to the Polisario Front within the meaning of Article 263 TFEU. 6. This finding, which does not explicitly address the options available to the Union in view of validly applying tariff preferences to products originating in Western Sahara, is based on the status of Western Sahara in international law. The judgment of 21 December 2016 decisively states that Western Sahara has, as a non-self-governing territory and by virtue of the principle of self-determination, a separate and distinct status in relation to that of any state, including Morocco. In consequence, in light of the Court’s reasoning, applying the legal principles related to self-determination, to the territorial scope of treaties and to their effect on third parties,  one may identify two conditions that should guide the Union’s approach to the establishment and development of trade relations with Western Sahara through international agreements between the EU and Morocco. 7. Firstly, in accordance with the principle laid down at Article 29 of the Vienna Convention on the law of Treaties (hereafter the Vienna Convention), the definition of the territorial scope of agreements concluded between the EU and Morocco, with regard to their application in Western Sahara, cannot depend on the discretion of the parties in the implementation of these agreements. Agreements concluded between the Union and Morocco that intend to apply to Western Sahara, a third party, have to provide explicitly for such territorial scope of application. .
8. Secondly, in the light of the principle of relative effects of treaties on third parties reflected at Article 34 of the Vienna Convention, the extension of the territorial scope of EU-Morocco agreements to Western Sahara is conditional upon the consent of the people of Western Sahara, third party to these agreements. This consent is required, regardless of whether the implementation of an agreement EU-Morocco is beneficial to or potentially harming Western Sahara. 9. These two conditions are therefore necessary requirements for what concerns the territorial scope and the effects on third parties of international agreements concluded between the Union and Morocco. 10. In addition, in respect of the scope of the principle of self-determination, the Court pointed out that it is “a legally enforceable right erga omnes and one of the essential principles of international law”, that is “applicable to relations between the European union and the Kingdom of Morocco”. As a right enforceable erga omnes, it imposes on all subjects of international law, including the European Union, the obligation not to recognize as licit a situation created by infringement of this right . Therefore, also because of the uncertainties as to the representation of the people of Western Sahara,  it is unclear whether it is possible at all to conclude an agreement covering “products originating in Western Sahara subject to controls by the Moroccan customs authorities” without breaching the obligations attached to the right to self-determination. 12. Given the nature of the action and the corresponding scope of the judgement of 21 December 2016, the Court did not address arrangements concerning the respect of EU requirements on imports. 13. Paragraph 1 of the Joint Declaration to be attached to Protocol 4 to the Association Agreement provides for the extension of the preferential trade regime to “products originating in Western Sahara subject to controls by the Moroccan customs authorities”. According to Paragraph 3, “the customs authorities of the Member States of the European Union and Morocco shall be responsible for ensuring that Protocol 4 is applied to these products”. 14. The extension of the trade preferences under the Association Agreement therefore consists in conferring to products originating in the part of Western Sahara under the control of Morocco the legal regime applicable to the products originating in Morocco. The Amending Agreement does not establish a distinct customs origin for products from Western Sahara. 15. The implementation of the Liberalisation Agreement and the compliance with EU requirements by Moroccan authorities, including for what concerns products originating in Western Sahara, is therefore not modified by the Amending Agreement. Do the consultations with “people concerned by the EU-Morocco Association Agreement” meet the requirement set by the CJEU of expressing the consent of the people of Western Sahara? 16. In the judgement of 21 December 2016, the Court of Justice interpreted the Liberalisation Agreement and the Association Agreement in lights of principles of international law, to conclude that the Liberalisation Agreement did not cover Western Sahara. For it to be the case, such implementation should receive the consent of the people of Western Sahara. However, the Court did not define how such consent should be expressed. 18. Since the requirements of the consent is based on the principle of the relative effect of treaties, it is in the light of the corresponding provisions in the Vienna Convention – Articles 34 to 36 – that two questions not explicitly addressed in the judgment are examined with a view to assessing whether the consultations conducted by the Commission correspond to the expression of a consent, as required by the Court of Justice. 19. The first question concerns the possibility of a presumed consent as laid down in Article 36 of the Vienna Convention,  not addressed by the Court, which relied on Article 34 of the Vienna Convention concerning the effect of treaties on third parties. According to Article 35 of the Vienna Convention first, a treaty cannot impose obligations on a third party unless the latter has expressed its acceptation in writing. By contract, Article 36(1) provides that a treaty can validly confer rights on a third party, its assent being presumed so long as the contrary is not indicated. Therefore, and provided that it is possible to identify rights and obligations in complex bodies of rules, the Vienna Convention establishes the principle that obligations must be explicitly accepted by a third party, whereas the third party must have the possibility to disclaim rights conferred on it. For the Court, it is the general principle of international law on the relative effects of treaties, “of which the rule contained in Article 34 of the Vienna Convention is a specific expression”, that justifies the requirement of a consent expressed by Western Sahara. The Court therefore did not distinguish whether the Liberalisation Agreement would confer rights or impose obligations on the third party, distinction that is on the other hand enshrined in the Vienna Convention. 20. In light of this, it is firstly noted that the Commission has actively sought the consent of the third party, thereby allowing for the expression of acceptance or refusal to extend the preferential trade regime to products originating in Western Sahara. Such endeavour is in line with the principle laid down in the Vienna Convention, regardless of the identification of obligations imposed or of rights conferred on the third party. 22. 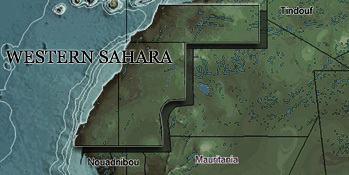 In relation to this statement, it is reminded that the Court, in the judgement of 21 December 2016, ruled that the application of trade preferences to products from Western Sahara would require the consent of the people of Western Sahara, “without it being necessary to determine whether such implementation is likely to harm it, or on the contrary, to benefit it”,  that under Article 36 of the Vienna Convention, the third party to an agreement must have the possibility to disclaim rights conferred on it and that the Polisario Front has expressed a negative opinion in this regard. 25. In light of this, the consultations conducted by the European Commission in order to seek the consent of the Western Sahara’s people face the very difficulties that the settlement process itself entails. It cannot be established with certainty whether the Union institutions are able in practice to secure the consent of the people of Western Sahara in order to meet the condition spelled out in the Court’s judgment of 21 December 2016. The legal assessment of the consent consequently follows the limits of the consultation exercise itself. According to the agreement, and the proposed changes thereto, how does the preferential trade regime benefit to the people of Western Sahara? 27. Together with its proposal for Council Decisions on the signing and on the conclusion of the Amending Agreement, the Commission joined a Report on benefits for the people of Western Sahara, in which it concludes that the impact of trade preferences applied to products from Western Sahara would be beneficial to “all parts of the population, regardless of background, to a greater or lesser extent”. For the Commission, on the other hand, “these benefits would be compromised if exports to the EU did not enjoy the same tariff preferences as those granted to Morocco”. The Report, which constitutes a tool for assessing the potentially beneficial impact of the proposed Agreement on the people of Western Sahara, does not foam part of the agreement. 28. In addition to the assessment ex ante, the Amending Agreement provides that the EU and Morocco will exchange information at least once a year by means of the Association Committee, "in order to allow the parties to assess the impact of the Agreement, particularly on sustainable development and with regard to the advantages for the people concerned and the exploitation of the natural resources of the territories in question". The arrangements for the evaluation exercise will be adopted by the Association Committee at the latest two months after the entry into force of the Amending Agreement, According to Article 83 of the Association Agreement, the Association Committee "draw(s) up its decisions by agreement between the Parties". 29. The Amending Agreement therefore contains a rendez-vous clause, on the adoption of arrangements for the exchange of information between the EU and Morocco in view of assessing the beneficial effect of the Liberalisation Agreement. However, these arrangements are limited to the assessment of the impact and do not involve specific mechanisms for remedying possible shortcomings of the effects of the trade preferences for the people of Western Sahara. Can the exchange of letters be provisionally applied and under which conditions? 30. The Agreement in the form of an Exchange of Letters provides that it "can be applied provisionally by mutual agreement notified by an exchange of notifications between the parties, with effect from the date of the signature authorised by the Council of the European Union". 31. In the EU legal order, the provisional application of international agreements to which the EU is a party requires, according to Article 218 (5) TFEU, a decision by the Council, acting on proposal by the negotiator. 32. The Commission proposal confirms, in the Explanatory Memorandum, that the Agreement includes the possibility of applying the Agreement provisionally; such provisional application is nevertheless not deemed necessary. In light of this, the Agreement amending the Liberalisation Agreement cannot be applied provisionally, unless the Council first adopts a decision under Article 218(5) TFEU, for which the Commission has however not made a proposal. What is the effect of a request for an opinion from the Court under Article 218(11) TFEU on the procedure leading to the conclusion of an international agreement? 33. According to Article 218(11) TFEU, “a Member State, the European Parliament, the Council or the Commission may obtain the opinion of the Court of Justice as to whether an agreement envisaged is compatible with the Treaties”. 34. The request for an opinion has formally no suspensory effect on the procedure for the adoption of international agreements. If, in spite of a request for an opinion on the compatibility of an international agreement with the Treaties, this international agreement is concluded by Council while the request is still pending, then the request becomes devoid of purpose . 35. Nevertheless, when Parliament’s consent is foreseen in accordance with Article 218(6) TFEU, the conclusion of this international agreement cannot validly proceed before Parliament has approved the decision on the conclusion. Parliament’s Rules of Procedure reflect this sequence, as Rule 108(6) RoP provides that, “if Parliament approves the proposal to seek an opinion from the Court of Justice, the vote on request for consent or opinion shall be adjourned until the Court has delivered its opinion”. In consequence, if Parliament submits a request to the Court in accordance with the procedure laid down at Rule 108(6) RoP, the procedure for the consideration of the consent is on hold in the European Parliament. Since Council cannot validly adopt a decision concluding an international agreement without Parliament’s consent when such procedure is applicable, the procedure of request for an advisory opinion de facto suspends the procedure leading to the conclusion of an international agreement. In the absence of an explicit extension of the scope of the Protocols, which tariffs are applied to products originating in Western Sahara? 38. Given the situation in the part of Western Sahara controlled by Morocco, the extension of the trade regime under the EU-Morocco Agreement is indeed, in practice, the only possible way to grant preferences to products from tis part of Western Sahara. Theoretically though, it may be reflected on whether, in the case of trade with a non-self-governing territory, listed as a developing territory, which is not member of the WTO, other types of instruments for granting trade preferences on a unilateral basis would be available. a) On the basis of the judgment of 21 December 2016, it can be concluded that agreements between the Union and Morocco that intend to apply a preferential tariff to products from Western Sahara firstly have to provide explicitly for such territorial scope of application. Secondly, the extension of the territorial scope of application of EU-Morocco agreements to Western Sahara is conditional upon the consent by the people of Western Sahara. The judgment does not allow for a definitive conclusion as to whether other conditions apply. b) The Court judgment of 21 December 2016 did not concern the ways in which the respect for EU requirements on imports should be ensured. The Amending Agreement confers on products originating in the part of Western Sahara under the control of Morocco the legal regime applicable to the products originating in Morocco. The implementation of the Liberalisation Agreement and the compliance with EU requirements by Moroccan authorities is not modified by the Amending Agreement. c) The consultation process reflects the steps that may reasonably be considered as available to the Union institutions in view of securing the consent of the people of Western Sahara to an agreement to be concluded with Morocco; nevertheless, it remains uncertain whether the requirement of the Court judgement in the Case C-104/16P is met. d) According to the Commission Report on benefits for the people of Western Sahara, the Agreement can be presumed to be beneficial to the region of Western Sahara as it confers an additional right to that region. The Amending Agreement itself contains a rendez-vous clause, on the adoption of arrangements for the exchange of information between the EU and Morocco in view of assessing the beneficial effect of the Liberalisation Agreement ex post. However, it is uncertain whether these two elements are relevant in the assessment of the consent as required by the Court. e) The Amending Agreement cannot be applied provisionally, unless the Council first adopts a decision under Article 218(5) TFEU, for which the Commission has however not made a proposal. f) The procedure of a request for an advisory opinion under Article 218(11) TFEU does not have the effect of suspending the procedure leading to the conclusion of an international agreement. However, such a request by the European Parliament de facto suspends this procedure, provided that Parliament has not yet given its consent to the agreement. g) Products originating from Western Sahara are, in the absence of an extension of the trade preferences under the EU-Morocco Association Agreement, subject to normal customs tariffs as applicable in the EU under the most-favoured nation treatment. Proposal for a Council Decision relating to the signature, on behalf of the European Union, of the Agreement in the form of Exchange Letters between the European Union and the Kingdom of Morocco on the amendment of Protocols 1 and 4 to the Euro-Mediterranean Agreement establishing an association between the European Communities and their Member States, of the one part, and the Kingdom of Morocco, of the other part, COM(2018) 479 final, 11.06.2018, and Proposal for a Council Decision on the conclusion of the agreement in the form of an Exchange of Letters between the European Union and the Kingdom of Morocco on the amendment of Protocols 1 and 4 to the Euro-Mediterranean Agreement establishing an association between the European Communities and their Member states, of the other part, and the Kingdom of Morocco, of the other part, COM(2018) 481 final, 11.06.2018. Pending the accomplishment of the formalities relating to the signature of the Agreement, Council has not requested Parliament’s consent yet. Council Decision of 8 March 2012 on the conclusion of an Agreement in the form of an Exchange of Letters between the European Union and the Kingdom of Morocco concerning reciprocal liberalisation measures on agricultural products, processed agricultural products, fish and fishery products, the replacement of Protocols 1, 2 and 3 and their Annexes and amendments to the Euro-Mediterranean Agreement establishing an association between the European Communities and their Member States, of the one part, and the Kingdom of Morocco, on the other part. OJ L 241 of 07.09.2012, p.2. Judgment of 10 December 2015, Polisario v Council, T-512/12, ECLI:EU:T:2015:953. Judgment of 21 December 2016, Polisario v Council, C-104/16P, paragraph 106. Judgment of 21 December 2016, Polisario v Council, C-104/16P, paragraph 92. Judgment of 21 December 2016, Polisario v Council, C-104/16P, paragraph 94 to 107. Judgment of 21 December 2016, Polisario v Council, C-104/16P, paragraph 94 to 99. Judgement of 21 December 2016, Polisario v Council, C-104/16P, paragraphs 88 and 89.
	International Court of Justice, Legal Consequences of the Construction of a Wall in the Occupied Palestinian Territory, Advisory Opinion, ICJ Reports, 2004, p. 136, paragraph 159. Opinion of 13 September 2016, Polisario v Council, C-104/16P, ECLI:EU:C:2016:677, paragraphs 259 and 269. Report on the benefits for the people of Western Sahara and public consultation on extending tariff preferences to products from Western Sahara, Commission Staff Working Documents SWD (2018) 346 final of 11.06.2017, p. 10. Judgement of 21 December 2016, Polisario v Council, C-104/16P, paragraph 106. Commission Staff Working Document SWD(2018) 346 final of 11.06.2018,p. 10. References to the 1969 Vienna Convention on the law of treaties between States are made to the extent that the provisions reflect principles of customary international law, binding on the Union. Judgment of 21 December 2016, Polisario v Council, C-104/16P, paragraph 100. COM(2018) 481 final, 11.06.2018, p. 7.
law concerning friendly relations and co-operation among States in accordance with the Charter of the United Nations. Judgment of 21 December 2016, Polisario v Council, C-104/16P, paragraph 105. Resolution A/RES/34/37, 21.11.1979, paragraph 7. The settlement proposals of 1998 envisaged the identification of an indigenous population, see Resolution S/RES/658(1990), 27.06.1990, paragraph 2 and document S/21360, 18.06.1990, Report of the Secretary-General on the situation concerning Western-Sahara, p.9. The peace plan of 2003, on the other hand, integrated a part of the population on the basis of continued residence. See Resolution S/RES/1495(2003), paragraph 1 and document S/2003/565, 23.05.2003, Report of the Secretary-General on the situation concerning Western Sahara, p. 14. Commission Staff Working Document SWD(2018) 346 final of 11.06.2018, p. 9. Commission Staff Working Document SWD(2018) 346 final of 11.06.2018, p. 32. Commission Staff Working Document SWD(2018) 346 final of 11.06.2018, p. 31. Commission Staff Working Document SWD(2018) 346 final of 11.06.2018, p. 3. COM(2018) 579, final, 11.06.2018, p. 4. See the removal from the register of the request for an Opinion 1/04, OJ C 69 of 19.03.2005, p. 12, after Council adopted its decision concluding the PNR Agreement with the US, in spite of Parliament’s request for an opinion. Commission Staff Working Document SWD (2018) 346 final of 11.06.2018, p. 1. COM(2018) 481 final, 11.06.2018, p. 3.